There are many reasons why you should consider making the new Peugeot 5008 SUV, available here at Motorparks, your next set of wheels if you're in the market for a family car. With its chrome detailing, alloy wheels and use of LED daytime running lights, the new 5008 SUV boasts a sharp and stylish exterior design. The car's interior is also incredibly spacious - there's enough space to accommodate seven people comfortably - while an opening panoramic glass roof ensures that the cabin can always be splashed in beautiful, natural light. Don't just take our word on the appeal of this vehicle though; the all-new Peugeot 5008 SUV 1.2 Puretech 130 Allure was given the prestigious honour of being named the Best Large SUV at the 2018 What Car? Awards. You won't be disappointed when you discover the new, more agile Peugeot 5008 SUV at Motorparks. There are so many magnificent numbers associated with the new Peugeot 5008 SUV and its performance credentials. After all, this is a car which, depending on the model selected, can deliver 177hp of power at 3,750rpm and 295lb/ft of torque. On the road, these statistics mean the vehicle can go from 0-62mph in just 9.2 seconds, hit a top speed of 134mph and deliver an exceptional 70.6mpg. Attention will be drawn to the new Peugeot 5008 SUV wherever you take it, while those on board are sure to appreciate the vehicle's practical modular layout. The new 5008 SUV is designed to stand out, thanks in part to its purposeful stance but also due to its raised ride height. You can find so many eye-catching features around the outside of this vehicle too, with large alloy wheels, signature headlamps coupled with LED daytime running lights, a sporty rear spoiler, and a black diamond roof to name a few. Modular layout is a key feature of both the interior design and the entire setup of the new 5008 SUV. The car features seven individual seats with enough space to accommodate seven adults comfortably. In fact, those sitting in the second row can take advantage of longitudinal adjustment to maximise their legroom, while those taking up the third row will enjoy space around their head and legs to stretch out. Only have up to five passengers on-board and looking to create more space? Then you'll be pleased to hear that the seats in the third row can easily be removed and stored separately whenever you need additional room. From the configurable eight-inch capacitive touchscreen dashboard and 12.3-inch head-up digital instrument panel which forms the PEUGEOT i-Cockpit, to advanced driver assistance systems to give drivers peace on mind, the new Peugeot 5008 SUV is packed with superb pieces of technology. This is also a vehicle designed to get you from A to B across a variety of terrains, with this made possible with the implementation of Advanced Grip Control technology and a Hill Assist Descent Control system that's akin to something you'd expect to find on a 4x4. 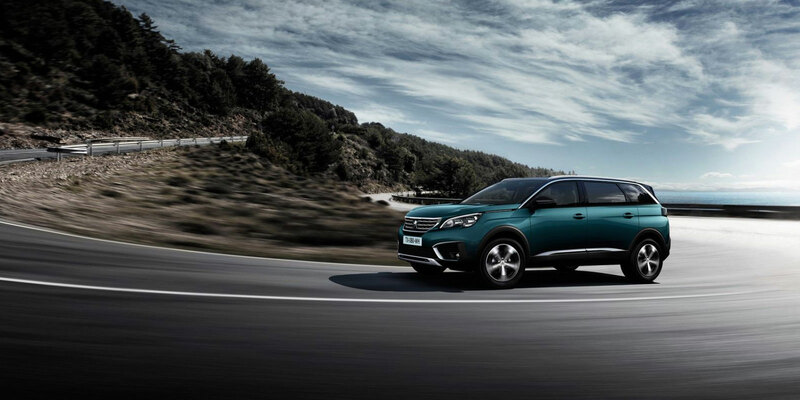 Confident that the new Peugeot 5008 SUV is the vehicle you need? Then, all that's left to decide is which of the five trim levels will be best for your requirements. There's the Active variant, which impresses in equal fashion with its character, strength and style, as well as the Allure model that stands out for its understated luxury. Meanwhile, the GT Line trim boasts outstanding levels of efficiency and specification, though the GT Line Premium model can't be dismissed as it looks great with its glamorous elements and abundance of practical features. Completing the choice is the GT trim - a car that is the ultimate in SUV luxury and boasting a sport design, too. Browse through all of our new Peugeot 5008 SUV cars and enquire about any that appeal to your needs online now at one of our Peugeot dealerships. Our collection of 5008 SUV cars also expands to the new 5008 SUV GT, the new 5008 SUV GT Line and the new 5008 SUV GT Line Premium.